How will SmartHR enhance our HR function? It reduces time needed for admin and frees up time for strategic and high value HR activities because managers and employees can now help themselves using self service. It means no more: frustrating disparate systems and searches through paper files and spreadsheets; tedious report creation using incomplete and out-of-date data; time-consuming phone calls and emails between managers and HR staff. The Smart HR solution becomes your central source of truth and a secure repository of vital people information for your entire organisation. How will SmartHR impact our bottom line? SmartHR enables you to grow your business quickly, efficiently and with less risk. Read our blog on this topic. How will SmartHR help us meet South African labour law requirements? SmartHR is guaranteed compliant with all relevant South African labour law requirements. The system virtually eliminates risk of non-compliance because it manages record keeping and reporting compliance for employee relations, equal opportunity, health and safety, training accreditation and more. How will SmartHR support our decision making process? Why do we need an HR system? If you don’t have an HR system your people managers are most likely using a combination of spreadsheets, email, documents, manual forms and a payroll system unsuited to HR needs. The lack of a proper system means staff spend too much time on administration, report creation, checking for manual errors, and answering ad-hoc queries. How much does Smart HR cost? Your investment in SmartHR can start from as low R30 per employee per month depending on the number of employees you have and the optional modules you select. Your investment consists of software, implementation and training and a recurring annual fee. The annual fee entitles you to automatic upgrades, software maintenance and comprehensive customer support. A flexible modular pricing structure means you only pay for the components you require and the staff you manage. Depending on your budgetary preferences we provide the option of an upfront purchase of the software with a lower annual component or an annual rental price with a lower initial investment. My payroll/accounting vendor has an HR module. Why is SmartHR a better choice? Because the information needs of HR are very different to the quantitative processing and reporting needs of Payroll and Financial systems. Many vendors who focus on payroll and financials simply lack the know-how and systems capability to understand HR data and the needs of HR professionals in practice. Even if these vendors have implemented hundreds of payroll and financial systems they have usually implemented only a handful of HR systems. For us at Absalom it’s the exact opposite, we’ve implemented hundreds of HR systems because we’re HR specialists and it’s all we do and because SmartHR has been our sole focus for 14 years and not an after-thought, we have the expertise and the tools to give you a far more powerful and comprehensive solution for your business. What development resources do you have in place to meet our ongoing needs? We have a strong local development team of seasoned professionals. Between them our South African development group have more than 20 years experience in the product. To complement our local team we also have a group of more than 30 Microsoft developers based in South East Asia, whom we utilise when required. To provide our corporate customers with an additional level of security the software can be held in escrow through Escrow Europe pty ltd which means your software investment is protected under all scenarios. Our IT people offered to build an HR solution for us. Why is SmartHR a better option? Because SmartHR is a more robust, scalable and cost effective than an internally built system. Many of our clients tried to build HR databases internally and found they not only consumed significant resources for much longer than expected but came up against significant technical blocks. Building a system internally for complex solutions nearly always costs more and rarely delivers the functionality or usability you want. This is because an HR system seems simple at first but becomes more and more complex to develop as your requirements expand. SmartHR is the product of 14 years, thousands of hours and millions of dollars in research and development. You benefit from all the resources that have gone into SmartHR and avoid the cost and frustration of going down the internal development path. Will SmartHR suit our size organisation? There are companies using SmartHR with as few as 25 employees right up to large multi-nationals with 20,000 + employees, dozens of sites and thousands of users. The HR requirements of a business with 50 staff are quite similar to those of a large business with thousands of staff but on a larger scale in that it is a group of people you are managing. The architecture and design of SmartHR enables it to scale up or down in size and complexity. However most companies need to reach at least 50 staff before they encounter the kind of staff challenges that make an HR system feasible and necessary. The majority of our clients are in the 100 –5000 employee range i.e. small to medium enterprises. Do you support multiple business units across a group of companies? Is the system designed to adapt as our company grows and our requirements change? Yes. SmartHR will adapt and evolve to your growing needs: The database design permits virtually unlimited scalability without performance loss. The application itself provides flexibility allowing you to add and remove modules as your needs change and customize the solution via forms and fields; work-flow; automation and reporting. What sets SmartHR apart from other HR systems? Can SmartHR be run with our existing payroll? Greater Flexibility – more flexibility to choose the payroll best suited to your needs without restriction or compromise. Save Money – no need to incur the expense of a new payroll when you buy an HR system if your current system still does the job of paying your staff. Fewer Compromises – no irritating compromises such as lock outs and reporting limitations that plague many combined HR/Payroll systems Consolidation – consolidate all your history from one or more payrolls into SmartHR to use pay data in ways previously impossible or impractical. Budgeting – input budget information against pay history to compare budgets against actuals. Link HR attributes – link pay history data to attributes such as performance and training. No Lockouts – there is no downtime while payrolls are run because the pay history data is merged into SmartHR there are no closed lockout periods of data. Reduce Fraud – counters the risk of ghost employee fraud through a division of duties between who manages appointment/termination of employees and who manages payroll. No Archiving – you can analyse data over a longer period because your pay history is retained indefinitely and you’re not bound by financial year archiving. Why choose a payroll independent system instead of a combined HR/Payroll system? Because you get more for your money with a payroll-independent, best-of-breed System like SmartHR. You don’t have the problems that plague combined HR/Payroll systems developed by Payroll vendors. HR systems developed on payroll platforms lead to limitations because payroll databases are designed to handle calculations, periodic transactions and fixed reporting whereas HR databases need to handle qualitative (non-numerical) data, complex processes such as approvals etc and ad-hoc (management-style) reporting. From a system design point of view, Payroll and HR are like chalk and cheese! Yet many payroll vendors branched into HR to extend their offering for marketing reasons without knowing much about HR. 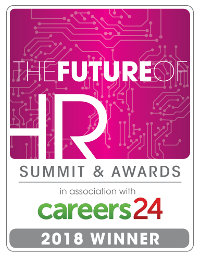 This is why – to this day – many of vendors struggle to deliver effective HR solutions. With SmartHR you don’t inherit these problems. This means you get more HR capability, a system that works the way HR professionals work and you have complete flexibility on which payroll you use. You’re not forced to accept a weakness in HR for the sake of the Payroll, or replace your payroll when the area you want to address is HR and when the payroll you have is perfectly adequate. Have you built vertical solutions for our industry? We’ve developed tailored vertical solutions for dozens of industries including: Financial Services; Mining; Construction; Manufacturing; Insurance and Re-insurance; Civil engineering; Brewing; Professional services; Retail; Airlines; Banking (retail and investment); Government; Research; Health Care; Aged care; Non-Profit; Hospitality to name a few. How does your implementation process work? How quickly can you implement the solution? Between 2 weeks and 6 months depending on your scope the size of your organisation and the level of customisation you need. We give you accurate estimates at the beginning and more than 95% of projects have been completed within time and budget. What staff resources do we need to provide during the implementation stage? We don’t have an HR manager or an HR department. Can we still use and benefit from SmartHR? Yes. SmartHR is a business tool. Anyone can use SmartHR and anyone who manages people can benefit from SmartHR. As well as being designed for HR departments SmartHR is designed for executives, managers and employees. SmartHR is a management tool with a people information focus. Because of its intuitive design and familiar, Outlook-style interface, almost anyone can quickly grasp it. You don’t need to be an HR professional to understand and use SmartHR. What level of training and support will we receive? Included in the annual license fee with SmartHR is free, unlimited technical support to trained users and we provide expert training, friendly support and fast resolution of any issues. All users are trained on-site by accredited SmartHR trainers. Every trained user gains immediate access to premium technical support for any assistance they require. Assistance is provided on-site and via phone, email and remote web assistance. As a client you’ll receive a high level of standard support and the option of custom support contracts. One of the things that sets SmartHR apart is our commitment to premium training and support services to ensure your system is operational and secure and your staff are deriving maximum benefit from the solution. What is included in the SmartHR core system and what are optional modules? History Log – Summarises staff movements and status changes Termination Report – Lists employees terminated within a specified date range. What tasks can a user perform on the self service portal? What about integration with our existing software (payroll, financials etc)? Yes. SmartHR will integrate with your existing payroll, time & attendance, rostering and financials, ad-hoc databases and spreadsheets via scheduled import/export. Over the last 14 years we’ve done thousands of integrations including to virtually all of the major payroll, financial and t&a systems in the region. How secure is SmartHR? Will our sensitive and valuable HR data be safe? Your data is secured in several ways. Your HR data is stored in its own separate, encrypted database. Your database can be scheduled for automatic backups. The database resides inside your network and behind your firewall so access to it from outside can be controlled. Only users you assign can access the system via secure login details. For each system user you can control who they can see and what types of information they can view/edit for each person. For example a manager may have access to all information about their own staff but limited information (job profile, department etc) about other staff in the company. And lastly there’s an audit trail that logs all user changes so you can track which users made which changes to the system at any time. How many staff in our company will use the SmartHR system on a regular basis? How will the profile of usage look within our company? Can you provide some examples? Function specific usage: In addition to 1. you also have users responsible for certain types of records e.g. OH&S or training (often, these users can only access one type of information). Do we need a dedicated server to run SmartHR, or can it share a server with other applications? No – SmartHR usually does not have to be on a dedicated server and is often run alongside several other applications. Does the software run over a web browser or a client application? Both. SmartHR has both a rich client application and a browser-based interface. The rich client application functions and looks similar to Microsoft Outlook and is designed for your daily power users. The browser-based interface can be accessed from anywhere and is designed for managers and employees. This approach means your power users (typically HR staff) get all speed advantage of a rich client application while your other users can access the system efficiently via a secure web browser portal without the need to install any software. Will the software fit into our existing IT infrastructure? Almost certainly the answer is yes. SmartHR is built on standard modern Microsoft technology so as long as you have at least one MS Windows server on your network you can run SmartHR. The system is built using the latest Microsoft development tools including the .NET framework and SQL server. This means SmartHR will dovetail into an existing Microsoft environment and allows the solution to easily scale as your organisations requirements grow. Is the SmartHR software compatible with our current Microsoft server technologies? The software is fully compatible with the latest Microsoft technologies including Server 2014 (including Terminal Services and Virtualization), SQL 2008, IIS 7 including support for 64bit systems there is also backward compatibility to Windows 2000 SP4, SQL 2000. Can we access the system outside our company network? Yes. However it depends on your company IT security policy. You might have to join your companies VPN (virtual private network) to access the system offsite (from home for example). Can the SmartHR software be virtualised? Yes – the SmartHR Software can be virtualised. Can SmartHR run on Terminal Server and Citrix? Yes – the SmartHR software can run on either Terminal Server or Citrix Metaframe. Can we run SmartHR effectively in a low bandwidth environment? Yes. The software is not transaction heavy although it can store vast amounts of information on the database. Also because we incorporate caching on the ESS the system loads very quickly even in a low bandwidth environments.